Going for the dollar signs early on, the story picks up as Tommy Oliver, the fan favorite Green Ranger, battles with the side effects of breaking Rita’s spell on him. It’s a smart move to spare readers the origin story that no one really needs or cares about. The Rangers hardly had an origin with much gravitas behind it anyway, so why not get off with a sprint? Speaking of gravitas, the series cleverly navigates the fun of the original show with the addition of a far more intricate plot and situation. It’s just adult enough to be taken seriously, saving any silly stuff for well-timed areas that need humor. The art and colors really pop off the page. It’s neither the most detailed I’ve seen nor should it ever be mistaken for a rush job. It fits the series perfectly because it’s fun, but not childish. 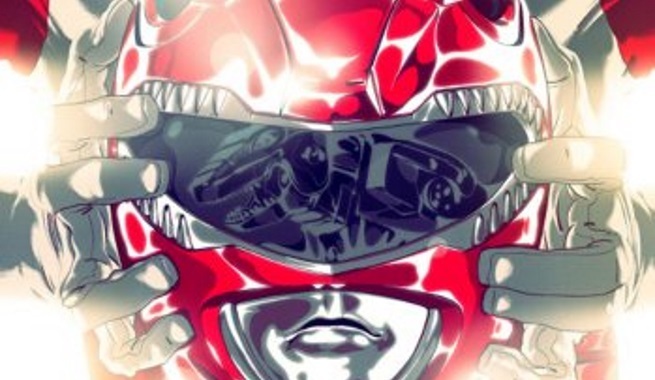 By purchasing the graphic novel, you get to see a large portion of the variant covers where other art styles play around with the concept of the Rangers. There are some really nice Alex Ross-inspired covers that bring his trademark realism to page, but I don’t know if I’d really want that for a book. As is, it’s great for collectors as one-offs. Vol 1. is also an enjoyable book by itself. It does end with a cliffhanger, but if someone just wanted to take a brief stroll down memory lane, they could read this one book and feel satisfied. For those, like myself, who plan on continuing to support the series, it will be interesting to see what plots can be created to fully expand the Ranger universe. As it is, the show was hardly an example of powerful plot. Like any good superhero comic, it would get old pretty quickly if the Rangers go through their motions like they did in the show. My hope is that there will be enough issues that any fan could pick up and not be lost while also having some well-developed arcs to move things forward. As is, what was old is new again and this series is off to a great start.